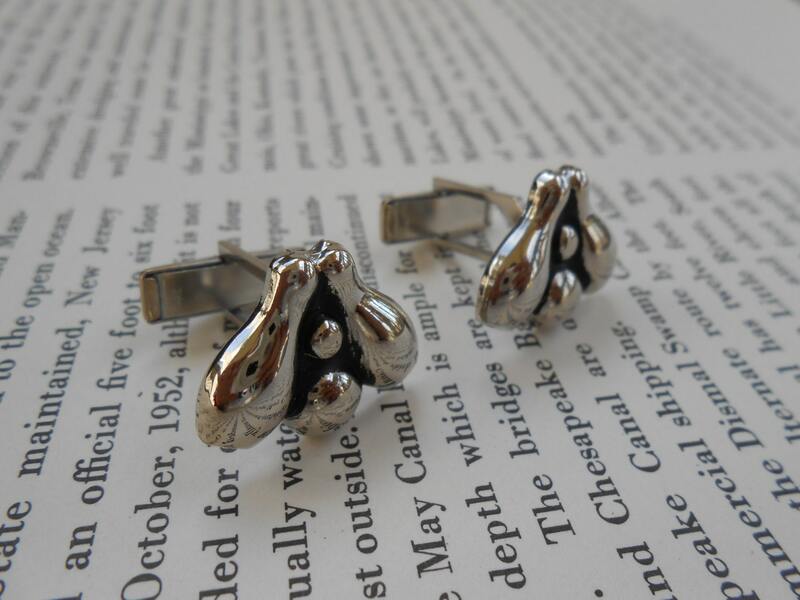 Vintage Bowling Cufflinks. 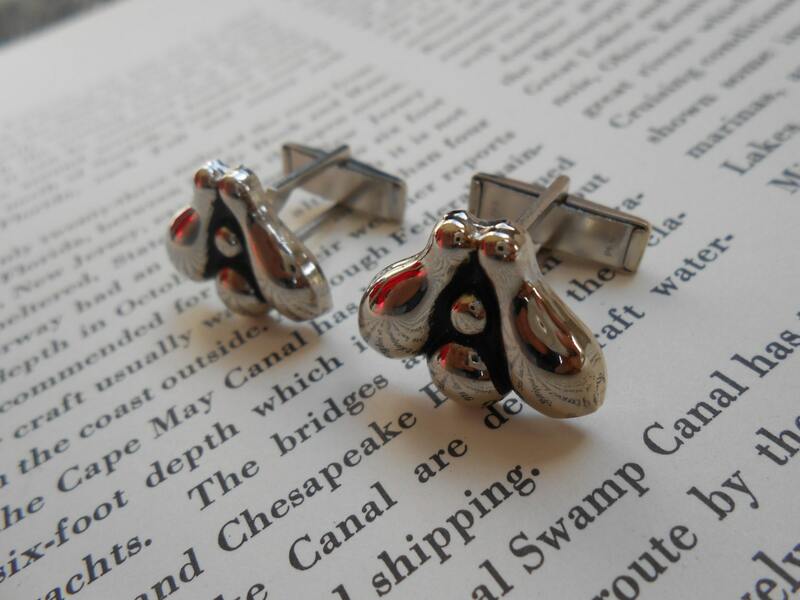 Wedding, Men's, Groomsmen Gift, Dad, Groom, Christmas. Ball. 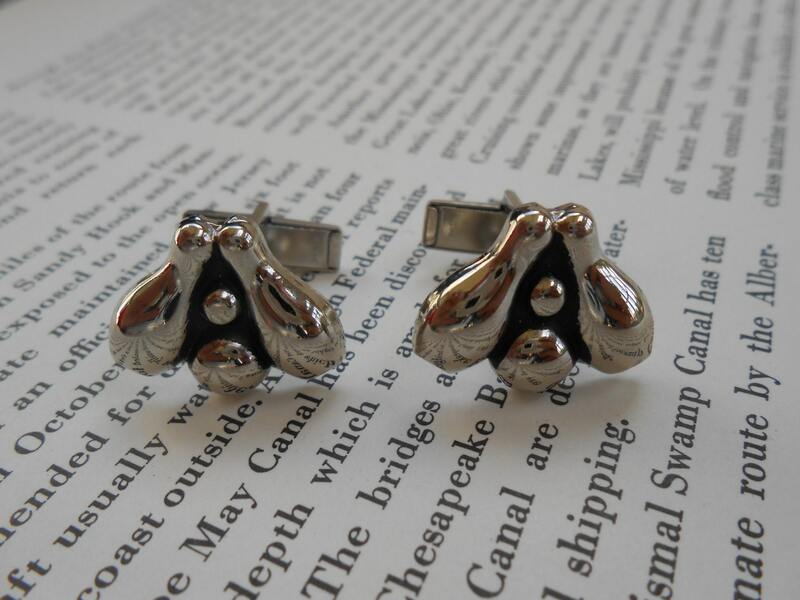 These vintage cufflinks are a silver tone and have two bowling pins and a bowling ball. They are from the 1970s and are in good condition. 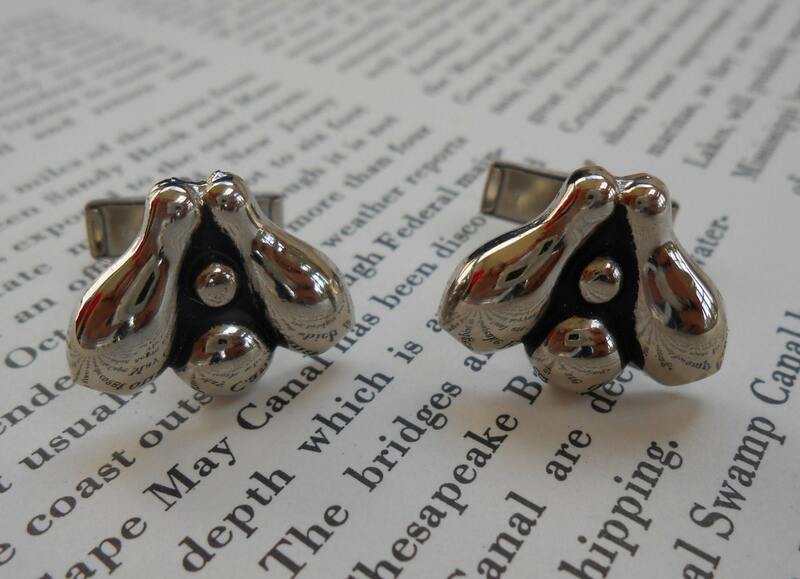 The cufflinks measure 3/4" x 5/8"
These would be a good gift for the avid bowler! 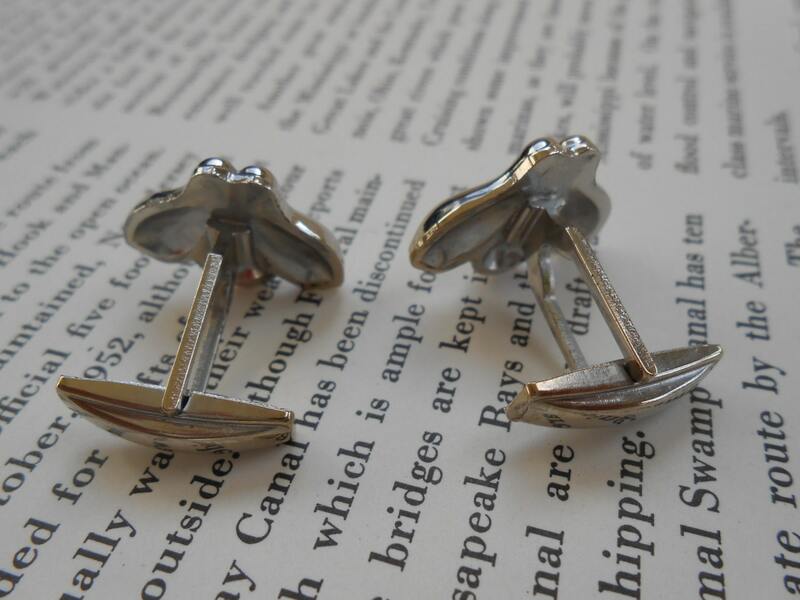 Or for Christmas, for a wedding, give it for a groomsmen gift, for Father's Day, or a birthday.